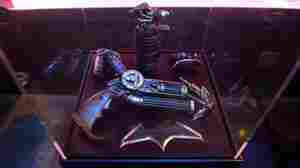 August 2, 2016  The TSA has repeatedly reminded air travelers to put sharp Batman and other superhero paraphernalia in checked baggage. June 11, 2016  The two lanes, which were designed by Delta, were rolled out last month. 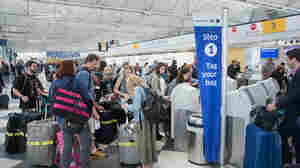 TSA administrator Peter Neffenger told a Senate committee that "initial results show dramatic improvements." 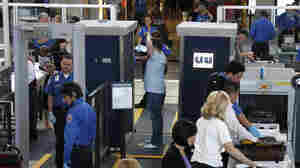 Cities Consider Privatizing TSA To Speed Up Checkpoints, But Would It? 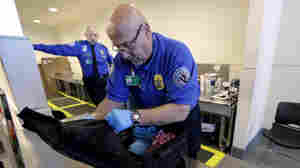 May 26, 2016  Some experts say replacing the TSA with private airport security firms wouldn't solve the problems causing long wait times and would do little to help this summer's busy travel season. 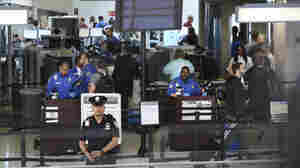 May 23, 2016  The Oversight Committee has criticized TSA for giving Kelly Hoggan bonuses despite security problems under his leadership. 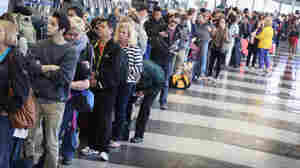 The agency has also been under fire for long screening lines for travelers. May 21, 2016  NPR's Scott Simon just spent time waiting in a long security line at the airport. He says that even though it's easy to grow impatient, the security measures exist to protect lives. 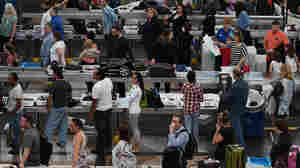 May 18, 2016  The airline industry predicts it will see a 4 percent increase in passengers between June 1 and Aug. 31. 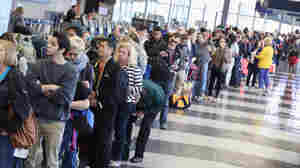 The travel rush is contributing to the long waits at airport security checkpoints. 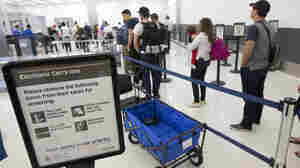 May 4, 2016  Homeland Security Secretary Jeh Johnson hopes that adding staff to security checkpoints will prevent longer wait times that had been projected for this summer. March 23, 2016  Authorities around the world are boosting security at airports and train stations after the suicide-bombings in Belgium. 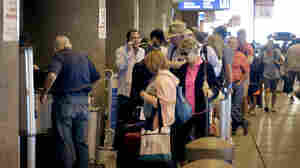 One option, used in other countries, is screening passengers at the front door. 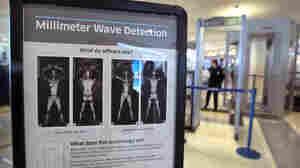 September 29, 2015  The machines, pulled in 2013, expose travelers and airport workers to a dose of radiation well within acceptable limits — a factor of 10 below recommended safety standards. 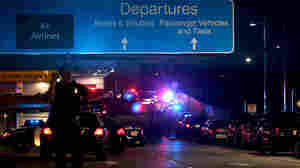 March 21, 2015  A former taxi driver attacked two TSA agents with wasp spray and a large blade before a sheriff's deputy shot him three times, authorities say. 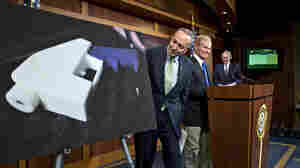 Police say the man has since died, the AP reports. January 23, 2015  Grenades and blades were also found. In most cases, people forgot they had them. Our favorite discovery: a knife in an enchilada. The TSA said "the passenger's intent was delicious, not malicious."